What is the Summer Reading Challenge? Every year the Kingston Frontenac Public Library (KFPL) unveils a new Summer Reading Challenge (SRC) for the members of our communities. This year, our Teen and Adult SRCs will encourage friendly interaction among participants as you complete exciting tasks on our interactive website! We will also be offering a downloadable paper version of the challenges on this website and at our branches for those who would like to complete the challenges offline! Each week, from July 2 to August 26, we'll introduce a new theme and challenges for you to complete and share. Before that, there will be four weeks of “teaser” challenges from June 4 to July 1 that will help you get in the SRC habit. With each challenge you complete, you'll get more chances to win all kinds of great prizes! 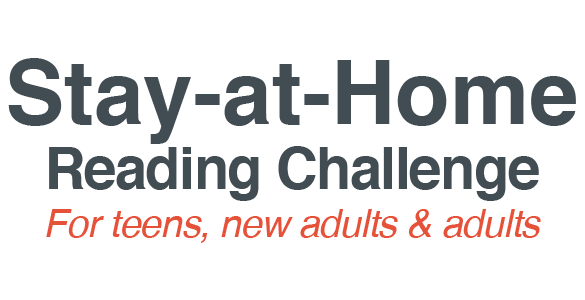 Our challenges will keep you reading throughout the summer and encourage you to share your thoughts and feelings, about what you're reading, with other participants. You'll be asked to explore your community in new ways, engage with literature, the Internet, and KFPL's own collection and services. You can participate as much or as little as you'd like, completing challenges whether you're at home, on vacation, at a library branch, or out in the community. When you create an account on the appropriate SRC website (or submit your first paper entry at one of our branches) you will be entered into our end-of-summer draw. After that, the more challenges you complete, the more chances you get to win all kinds of great prizes! For teen participants there will be a draw for a newly released book prize every week of the July 2 to August 26 SRC period (as well as two book prizes for the “teaser” period). At the end of the summer we will hold a grand prize draw for $100, $75, $50, and $25 gift cards to Chapters Indigo. That’s four grand prize winners! For adult participants there will be a weekly draw for one newly released book during the July 2 to August 26 SRC period (as well as two book prizes for the “teaser” period). At the end of the summer we will hold a grand prize draw for $100, $75, $50, and $25 gift cards to Chapters Indigo. That’s also four grand prize winners! The more challenges you complete, the greater your chances of winning, so be sure to level up! To participate in the Summer Reading Challenge, simply register for the appropriate age group with your library card number on this website. Teen participants (in Grades 7 to 12) should join the KFPL Teen Summer Reading Challenge. New Adults and Adults can register for KFPL’s Summer Reading Challenge for Adults. If you would like to participate offline, simply download and print the weekly PDF versions of the challenges when they are posted on this website, complete them, and return them to a KFPL branch. Or a KFPL staff member can print the weekly PDF versions for you as they are released. Registration for the Summer Reading Challenge opens on June 1. “Teaser” challenges will appear once a week until July 4, when the games begin. After that, a new set of themed challenges will be posted every week! Follow KFPL on FaceBook, Twitter and Instagram , or sign up for our newsletter, to stay in the loop about library programs, special events, and more!